Hi, I’m new to the implant issue, I got one xNT Ntag216, I was informed that the implant comes with a programmed UID and that it is not reprogrammable. I am armed a laboratory with two plates to read the UID of the implant. 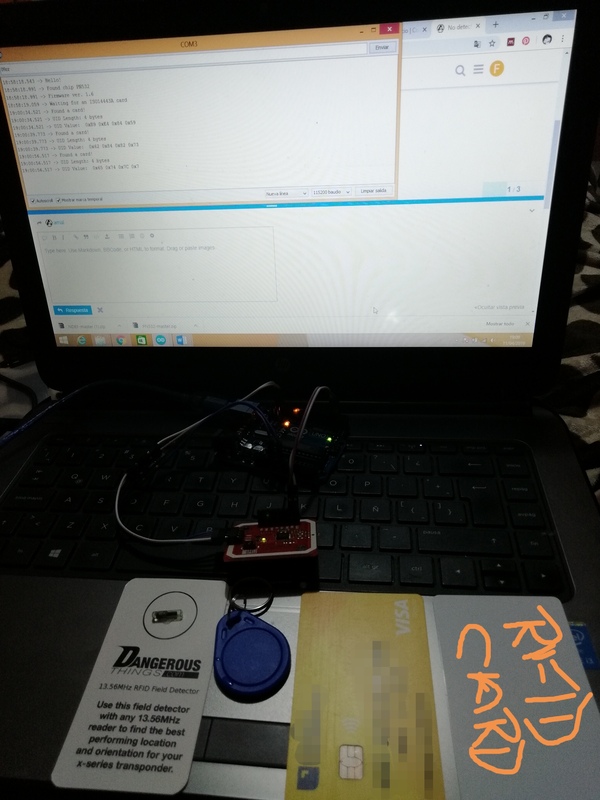 The plates are the ARDUINO UNO and PN532, connect them in I2C mode, probe several codes that I found, with which the UID of several cards could be read but I can not read the UID of the implant, when I bring it closer to the PN532 board it turns on a led that has the implant but does not show me any information. 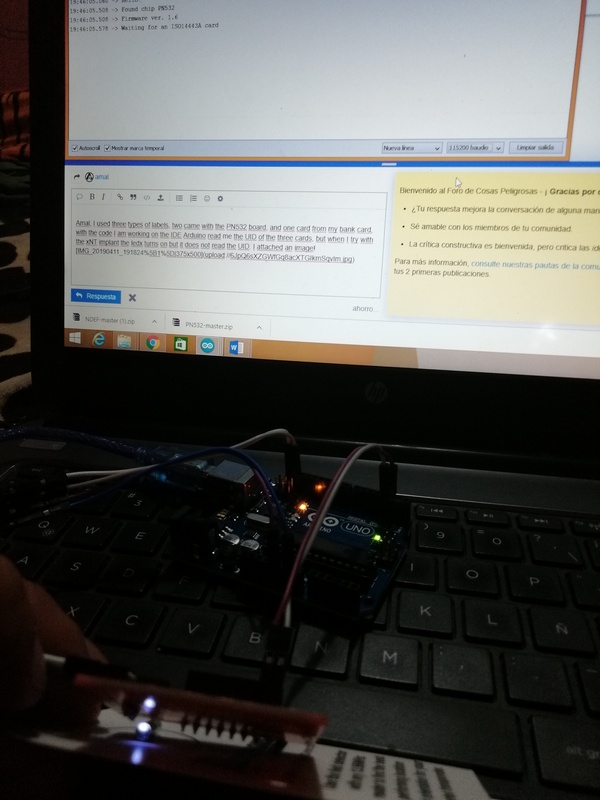 If someone can help me with an arduino code or inform me that I am doing wrong, I thank you. So, to be clear, you are reading the UID of various cards, but not getting a UID from the xNT implant? Did your xNT come with an xLED field tester? Have you tried to use it to find the correct location and orientation to present your xNT to the readers? It’s possible the code is expecting a 4 byte UID and not a 7 byte UID. I had to do some wacky things to get mine working although I have a SM130 module but I do know I had to adapt some stuff to do 7-byte UIDs. when I try with the xNT implant the ledx turns on but it does not read the UID. The xLED doesn’t have a UID. or are you saying the xled lights but the xnt doesnt read? Hi. I refer to a light that has the xNT implant that when the reader is zoomed in and is more intense depending on the location, I guess that’s when the UID should read. There are two different products. One is an xLED that lights up. There is no tag in this…it’s just a light, i will not read an UID. Then there is the xNT that does not have a light, but has a tag that will read UID. The capsule that light up is NOT an “xNT”, it’s an xLED HF (high frequency). Did you take the xNT out of the injector? What exactly did you order from Dangerous Things? You are trying to read the xLED, as is evident from your picture. It won’t read, it is not an NFC tag, it doesn’t have a UID. It is only used to indicate the correct placement and orientation for another, completely different product, the xNT. Only the xNT can be read and injected, and it comes preloaded in a syringe.